I remember the first time I tried and enjoyed this dish was from a Filipino-Chinese Fast Food restaurant called Chowking, a very tasty beef in sweet savoury Asian style sauce topped over a steaming hot jasmine rice. Packed with a lot of different flavourful sauces cooked slowly in a wok, a dish that is bit fuzzy and time consuming to prepare but the definitely it’s worth the wait. Now for a bit of information sharing, for those who does not know, braising is a cooking method where meat is seared in high temperature then boiled in liquid in low simmering heat. This cooking method is common in Chinese and French cuisine, the methods are the same except for the utensils used, the Chinese uses Wok and the French uses a deep pot. This method also enhances the flavour of the meat due to the searing process giving it a different dimension in flavour as compared to just boiling it. So if you are used to boiling meats in your recipe try changing your method and braise it instead and you will notice the difference in flavour immediately. Add ginger and garlic and stir fry with beef. Add Chinese Wine, Water and Beef Stock bring to a boil. Add Fish Sauce, Soy Sauce, Oyster Sauce, Hoisin Sauce, Sugar, Five Spice, Lemon Rind and Orange Rind. Add carrots and sesame oil simmer for additional 30 minutes or until beef is tender. Serve on steaming hot rice and top with spring onions. Wow! What a wonderful meal! I love all the flavours. Have a super weekend Raymund. Love the sound of this recipe. I’m a big fan of braising to will try this soon, thanks. I bet this is delicious and filled with combo of flavors judging from the sauces you used. I will make this this as well. Today, I am going to make your char siu for my noodles. I will post it in my blog if I will get good pictures. Thanks for the share. Oh, great looking beef! Yum! Looks so delicious. And I love the top photo. I love this dish especially in winter. In summer I prefer it tossed with wonton style egg noodles over steamed rice. 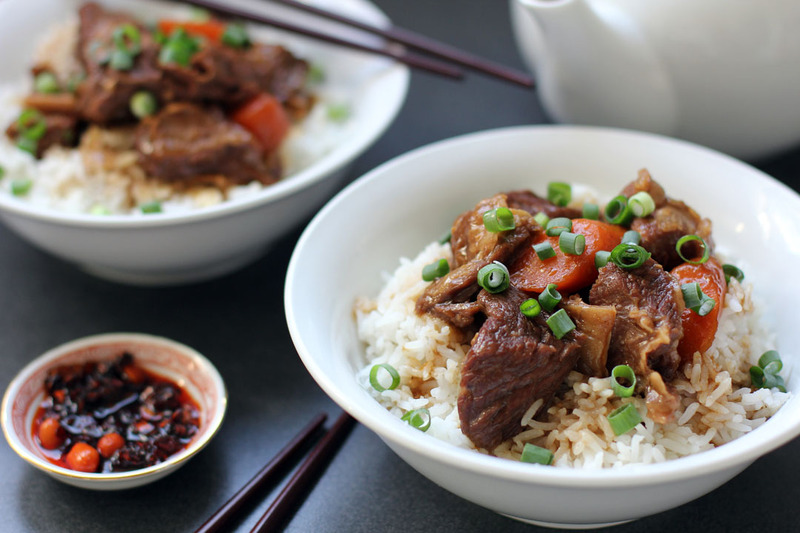 I love any kind of braised beef, and Chinese-style is wonderful. This looks terrific! And so easy. Thanks. They do look good…very good. Wow! Ang sarap! This is soooo yummy. I remember Chow King from Manila and just took those times for granted. Now we miss them, don’t we? 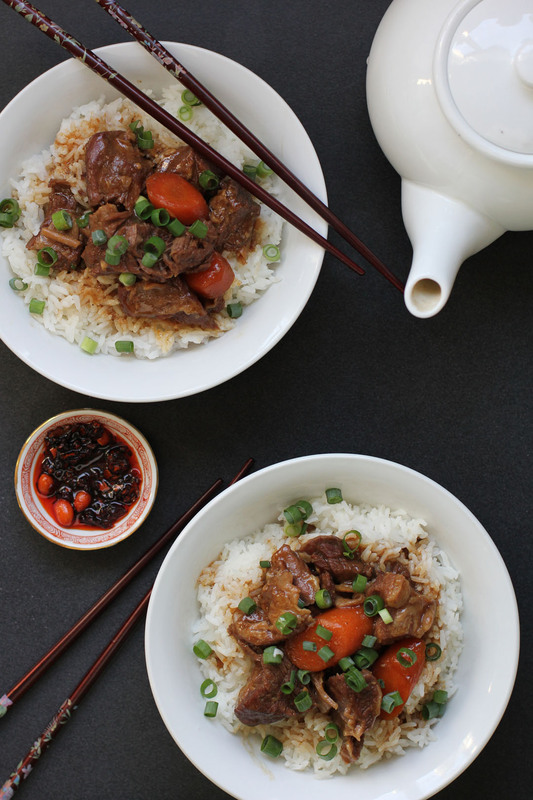 I’ve bookmarked this Chinese style braised beef to make soon. Thanks for sharing and the nice blog visit, Raymund. Hope you had a terrific CNY ! In Portugal braising is becoming more and more common, too. Love the dish! I could eat this gorgeous dish any day of the year I’m so eager to make this! I tried this recipe and it tastes sooo good! Now, i won’t be craving much of the food from Chowking….I can make it anytime I want! i will definitely do this very often! Yummy!